The Russian foreign policy course has apparently undergone certain changes when it comes to the Kremlin relations with former Soviet satellites and those which are far away geographically but always striven for good relations with the USSR and now its major successor – Russia. Russia has lost Ukraine forever as is the case with Georgia. With Moldova, the state of affairs is a bit confusing as pro-Russian separatist Dniester region is a major stumbling block and hinders Moldova aspirations towards close relations with brethren Romania and the EU. Nevertheless, the tiny nation’s gradual move towards the EU in the person of the government and pro-Kremlin president’s desire to foster better relations with Russia threaten to further aggravate the volatile stability. With Belarus, Russia’s relations remain strained but controllable as Presidents Putin and Alyaksandr Lukashenka are masters to artificially worsen the relations and then to scale down to normal when they see eye to eye on important matters. The Belarus president is apparently a headache for the Kremlin master on issues related to the Russian-led Collective Security Treaty Organization (CSTO). The relations have aggravated lately over Armenia’s ambition to hold the post of the secretary-general after previous one and the appointee of the ousted Armenian president was dismissed. Russia has also lost Georgia and the recent processes indicate that official Tbilisi is not ready to completely normalize the relations with Moscow without Russia-recognized Abkhazia and South Ossetia – de facto Georgian territories that are de jure controlled by the Kremlin. Russia and Azerbaijan often state about strategic nature of the relations though Moscow is unready to play a fair role in the resolution of the Nagorno-Karabakh conflict under Armenia’s occupation. In Central Asian countries, the situation is fairly stable but the Russian influence and presence in areas close to Afghanistan and other volatile regions is high and local governments are happy to see the Russian military presence as a guarantor against possible attacks from Afghanistan. What is intriguing is Russia’s growing presence and readiness of Middle Eastern and African nations to embrace Moscow’s ambitions towards greater presence in the regions, we can describe as “the king-maker” of the XXI century. Due to its strategic military and political successes across the Middle East, Moscow has attracted numerous local partners and enablers who facilitate its policies and help it advance its interests along with their own objectives. This represents a triumph of Russian diplomacy and overall strategy and is one of the principal mechanisms or factors that will make it possible for Moscow to play a major Middle Eastern role until and probably beyond 2025. For example, Russia’s regional successes have led the United Arab Emirates’ (UAE) Crown Prince Mohammad Bin Zaid to say that both governments share open communication channels on all issues of international affairs and will form a strategic partnership to promote their relationship. And thanks to their economic and political partnership, the UAE is helping Russia penetrate Africa as well. Presumably, as the UAE visibly increases its capabilities for projecting influence abroad, it will likely bring Russia into at least some of those arenas, like Africa. In the long term, Russia can expect to benefit from the UAE’s sharing of economic and political resources to help cement Moscow’s own quest for great power standing in the Middle East. Indeed, success across the entire Middle East and North Africa has, in many ways, facilitated an expansion of Russian activities and quest for leverage in the Sahel and Sub-Saharan Africa, an area that it clearly believes to be of growing interest to Moscow. And its growing presence across the African continent enhances the strategic importance of the Middle East to Russia as a springboard for future activities there. This is another reason why Moscow will be loath to yield its position in the region before 2025 and may seek to strengthen it instead, particularly given its expanding portfolio of interests in Africa and partnerships with states like the UAE further out to 2030. The UAE is not Russia’s sole regional partner. Iran and Iraq are clearly engaged deeply with Russia in Syria and over energy and arms sales. 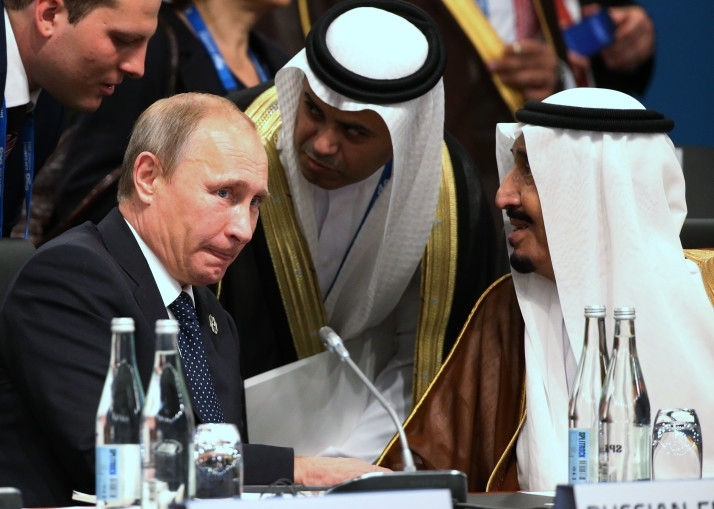 Saudi Arabia’s partnership with Moscow in the energy sphere is sufficiently well known to suggest that their collusion has either effectively supplanted OPEC’s role as a price setter for oil and gas or has greatly weakened that organization’s role in this process. Egypt works with Russia not only to acquire a nuclear reactor, but also offers it bases and cooperates with Moscow against Libyan rebels. And Sudan has offered Moscow a base in return for arms sales to prevail against its rebels. The above examples do not even exhaust the inherent future prospects in these partnerships, which continue to progress two steps forward for every step back. Moscow’s ability to forge partnerships is partly based on its disregard for the domestic political character of its interlocutors and partly driven out of sheer necessity given the structural weaknesses of post-Soviet Russia. That approach has allowed the Russian government to even enhance its ties and develop partner-like relations with states directly opposed to Russia’s preexisting partners like the UAE: Qatar is a prime example here. This capability has been and will likely remain one of the most important reasons for Moscow’s enduring presence in the Middle East. As many commentators and Foreign Minister Sergei Lavrov have argued, this “network diplomacy” of dealing with everyone while remaining above the fray has long since become a characteristic hallmark of Russian diplomacy across the board. The British analyst Bobo Lo calls it a penchant for multilateralism (with Russia in the lead). Because this modus operandi has paid off handsomely for Moscow, there is no reason to assume that Putin or subsequent regimes will forego that practice. As such, Russia in 2025 can be strongly expected to enjoy approximately the same level of standing and power in the Middle East that it now enjoys if not a higher one, absent radical changes. Russia’s ability to work with everyone also helps it become or aspire to become an arbiter between rivals, as is now occurring with regard to Israel and Iran as well as between the UAE and Saudi Arabia on the one hand and Iran on the other. Moscow also mediates among the rivals for power inside Libya and is doing the same thing in Sub-Saharan Africa. This helps Moscow coordinate with every player in the Middle East and also highlights the tactical flexibility of Russian policy. For example, even as Russia consorts with Sunni Gulf monarchies and Israel to restrain Iran, Moscow is negotiating with Tehran to draw it into the Eurasian Economic Union (EEU—the centerpiece Russian-led integrationist organization within the former Soviet space). Doing so softens the blow of its collaboration with Israel, helps rescue Iran from the crushing pressure of United Nations sanctions and creates a new, enduring basis for Iranian dependency upon Russia. In turn that flexibility bolsters Russia’s long-term ability to enhance its current position in the Middle East until 2025, if not later. This tactic predates the intervention in Syria but has continued there and elsewhere since then. Not only has Moscow forged ties with partners and enablers, in the Middle East it executes the same policy it conducts elsewhere, namely an effort to regulate conflicts among regional actors to enhance its interests and control those wars’ potential for escalation. Consequently, to the degree that Russia can enforce “escalation control” on local crises via its ability to straddle all sides in these conflicts, its standing in the Middle East grows. Moscow has taken a similar approach with regard to its standing in the Commonwealth of Independent States (CIS) and the wider Eurasia. As Dmitry Adamsky has observed. Apparently, three strategic principles, unwritten and implicit, drove Moscow’s regional conduct towards and following the intervention. First, the Kremlin seeks to preserve controlled tensions in the region. This enables it to promote its goals through power brokerage in the regional conflicts. Ideally, it seeks to keep political- military confrontations between the parties high enough to sustain the prospects for Moscow’s indispensability but not so high that they lead to a counterproductive escalation endangering its regional interests and assets. Consequently, Moscow seeks to act as mediator and dependence amplifier. In all regional conflicts Moscow cultivates equal access to all parties—a clear competitive advantage vis-à-vis the U.S. Being at once part of the problem and part of the solution provides it with an ability to escalate or deescalate confrontations. It prefers the actors involved not to be too strong and not too weak, and in any political-military development it seeks to demonstrate to them the limits of their power and their dependence on the Kremlin’s brokerage. These enabling partnerships and capacity for controlling escalation strengthen Moscow’s presence and reach across the Middle East. Moreover, they are now being replicated in Africa, where Russia has even been asked to mediate a number of local civil wars. Because Moscow can and does make deals with everyone, each state has a stake in its continued ability to uphold and sustain those deals - and thus, each of these actors has an incentive in Russia preserving its long-term regional presence. Given that context, any diminution of Moscow’s regional standing, voluntarily or otherwise, will reverberate throughout the Middle East and affect its partners in ways that they will likely perceive as negative. Therefore, Russian partners are likely to resist such negative trends, thereby strengthening Moscow’s regional posture and helping it sustain its policies there. This factor marks another way in which Russia, by pursuing a productive strategy, is supplanting the U.S.
Russia’s regional partnerships and those partners’ own actions enable Moscow in various ways. For example, Russian deals with Arab sovereign funds and energy firms - such as the business agreements between Rosneft and the Qatar Investment Authority and Glencore - have enriched Russia and Rosneft, all while circumventing Western sanctions. Moscow has also cemented long-lasting ties to economic and political elites that should continue well into the next decade thanks to investments in Russia by Arab sovereign funds. These relationships not only grant Moscow access to most, if not all, Middle Eastern governments, they also strongly reinforce the economic-political foundations of Russian policy in the Middle East because those policies are now ever more entwined with the interests and policies of local and regional elites. Expanding vested interests and affiliations facilitate long-term, mutually beneficial working partnerships. Beyond economic-political gains, these partnerships also help Russia magnify its military presence in the Middle East and Africa.